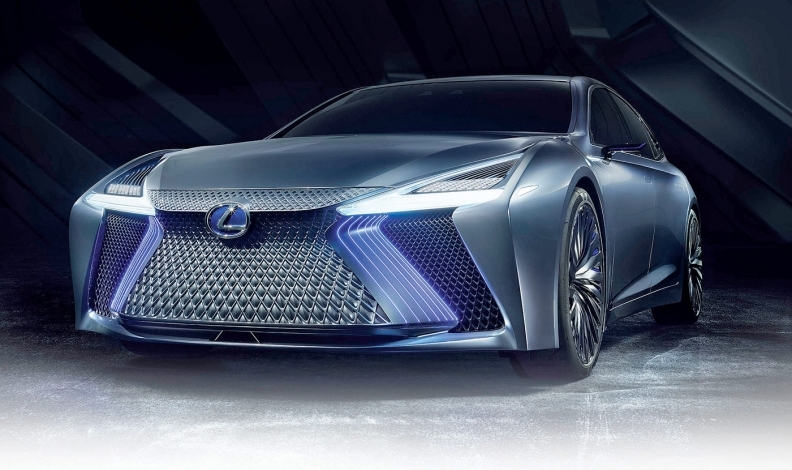 Lexus previews its vision of a self-driving car with a modified LS called the LS+ Concept, top and below. TOKYO — When it comes to autonomous driving, Toyota says it's Lexus-first and safety-first. The Japanese carmaker plans to start selling Level 4 self-driving technology in its Lexus luxury brand in the first half of the 2020s, before letting it trickle down to the masses. A big reason for starting in the premium arena is the steep cost of the systems. "It requires sensors that see a long dis- tance and very high- performance computers, which are very expensive," said Ken Koibuchi, Toyota's executive general manager for autonomous driving. But another reason is Toyota sees wider safety benefits from prioritizing the proliferation of more basic technologies such as lane-trace assist and systems that prevent pedal misapplication. The more advanced Lexus technologies, such as automatic lane-change, are also arriving late in the U.S. — after being offered in Japan. The reason, again, is safety. In the U.S., it takes longer to verify the systems for the diverse driving conditions, patchwork of traffic laws, faster speeds and divergent driving habits. "Many U.S. roads have blurred lane markers or a variety of different lines drawn on the road. It's very difficult," Koibuchi said. "We have not done sufficient verification yet." Toyota Motor has traditionally developed such self-driving technology in Japan and then tried to tweak it for U.S. driving conditions. But increasingly, the company will develop the technology for both markets in parallel, Koibuchi said. The just-redesigned Lexus LS flagship sedan, for example, gets several self-driving functions in Japan that won't be initially available in the U.S.
One is lane-change assist. Another is a lane tracing feature that automatically steers the car through highway bends. It does so by automatically slowing the car when a curve is coming so that the LS can keep automatically tracking the lane. That function relies on highly detailed GPS mapping, which is widely available in Japan. Starting next year, some advanced systems in the LS will be deployed across the Lexus lineup, but in lower-cost forms with different sensors, Lexus International President Yoshihiro Sawa said. 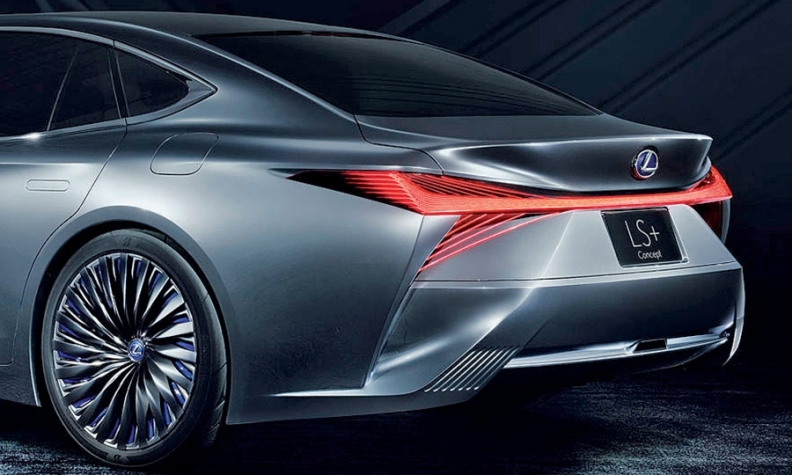 Lexus previewed its future vision at last week's Tokyo Motor Show in the LS+ Concept, a modified LS meant to embody electrified drivetrains and self-driving technologies. It is envisioned with the company's Highway Teammate system, which will enable automated driving on expressways, from on-ramp to off-ramp, by 2020. The car also gets a reworked front fascia for better aerodynamics and cooling. That is to accommodate future electrified drivetrains, such as all-electric or hydrogen fuel cell systems. Both green powertrains place a premium on top-notch aerodynamics to eke out every extra mile of range, Sawa said. And the fuel cell drivetrain requires more advanced heat management. "We are thinking about all kinds of powertrains," Sawa said. "Not only EVs but FCVs."